Happy May Two Four long weekend! It's been quite a long time since I received mail that wasn't either a bill or a letter from my cellphone provider trying to get me to add more services onto my plan that I already can't afford. Nathan over at Double Trouble Brewing sent me a package with a bunch of cans of their two newest products: Hops & Robbers Grapefruit IPA and Hops & Robbers Unfiltered Pils. Double Trouble has always been awesome to me over the years - their social media has always been engaging and witty ever since I first started using Twitter many years ago, and I've been enjoying their beers since 2011. I'm sad that their Fire in the Rye Pale Ale is no longer sold here in Manitoba but when it went on clearance, I bought out all the local LCs for stock. So as you can tell, I'm really excited to try two new beers that aren't even out yet. 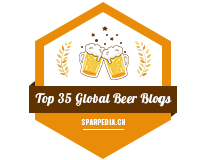 In fact, I'm one of the first people to review the beer! 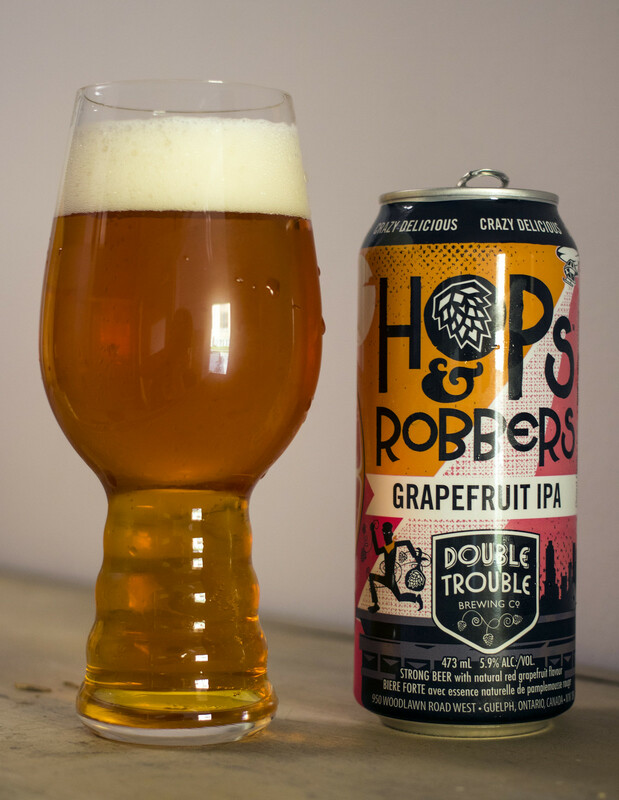 Today I'm checking out Double Trouble's Hops & Robbers Grapefruit IPA. I'm honestly not surprised that they're expanding the Hops & Robbers line of products because most beer geeks I know aren't necessarily familiar with the Double Trouble name, but the Hops & Robbers name is already pretty entrenched in the Canadian craft beer scene. Will they be all new future products under the Hops & Robbers line? Probably not because there's a lot of good punny crime-themed names they could come up. Hell.. 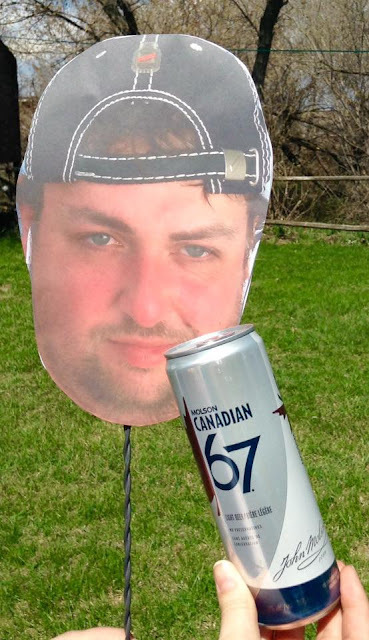 They make the Trailer Park Boys Freedom 35 beer! Okay.. now onto the review. Appearance: The Grapefruit IPA pours a clear caramel/honey body with a good amount of micro-carbonation. A fairly light amount of beige head on top that mostly diminishes into just the thickness of a pin. Lastly, there's a good amount of lacing on the side of the glass as it's gradually being savoured. Aroma: The name is very on point, this is a Grapefruit IPA. Actually, to me, I would almost consider this a Radler IPA but I doubt that there's that much grapefruit juice in here to make it a radler.. so Grapefruit IPA it is. Grapefruit is the most dominant aroma in this beer - it's sweet, bitter and moderately peppery. I'm not getting much from the hop presence but I'm going to assume that they're possibly using some Cascade and Galaxy in here, which would definitely compliment the grapefruit aromas a great deal. Light amount of bread dough, lemon and a faint hint of tangerine. Taste: The very first thing I get from the beer is.. you guessed it, grapefruit! The grapefruit flavour is what I'd consider the most dominant flavour in this beer. Following the grapefruit there's a sharp hit of bitterness, a piney resinous flavour that lingers around the tongue for a good amount of time. Through the grapefruit, there's a good deal of black pepper spiciness (which is one of the reasons I hated grapefruits as a child), subtle notes of crisp two row barley, a hint of lemon, and a hint of tangerine. Overall Thoughts: I feel like this should be called a "Radler IPA" because Radlers are all the rage right now but in reality, while grapefruit is the dominant aroma/flavour in this beer, it wouldn't have enough grapefruit juice to be considered it.. especially with it being 5.9% ABV. The beer really is a Grapefruit IPA - it has a heavy presence of grapefruit and bitter hops. The thing that surprised me was that I would get used to the grapefruit taste but then all of a sudden the bitterness of pine attacks my palate and leaves a lingering bitter aftertaste. In the era of juicy tropical IPAs, I'm happy that Double Trouble has come out with something bitter in this day and age - I love bitter IPAs but most people just want sweet and tropical. Well.. then again, with the grapefruit, this IS kind of a tropical IPA after all..